Welcome to our thorough guide for Dota 2 betting, covering everything you need to know about placing bets on Defense of the Ancients 2. Here you’ll be guided to the best operators, best bonuses, receive valuable betting tips and find plenty of other useful information. The guide starts with the below list of promoted Dota 2 sites, which are all operators that we at eBetFinder have a closer relationship with. Check them out or continue browsing the guide and we’ll also navigate you to the 5 Dota 2 sites that we consider to be the best of the best. Betting on Dota 2 is one of the most popular eSport games to bet on and for very good reasons! Not only has the game come to be one of the most popular in the MOBA genre, but it has professional tournaments held with prize pools that blow any other eSport game’s winnings out of the water! With plenty of these fantastic tournaments to place Dota 2 bets on, it’s the perfect way to up the excitement of the highly competitive and action packed matches taking place. The possibility to bet on the game has at least been around since 2011, which is when the Dota 2 betting site Pinnacle had their first bet on Dota 2 taken. Since then betting on the game has skyrocketed and it’s nowadays possible to find bets on Dota 2 matches on more or less every eSport betting site. Not only can you bet on Dota 2 with real money, but with some of the operators it’s also possible to bet Dota 2 skins. If you’re looking for the perfect real money or skin betting Dota 2 operator, we have a dedicated section for the top 5 Dota 2 betting sites that we highly recommend checking out. In the following guide we will cover other important things related to Dota 2 betting, such as how to become successful with your Dota 2 bets, what entertaining markets you’re able to find of the game and much more! Many of us mainly choose to place Dota 2 bets for pure entertainment purposes as it increases the excitement when watching professional Dota 2 matches going down. There are however also those that are trying to make a living out of the betting and would like to maximize their profits as much as possible. No matter what category you belong to yourself, we can probably agree that having a won Dota bet and making a little extra always brings a great feeling. To become a successful bettor on Dota 2, there are a lot of things to consider. The most basic ones do however include getting as much knowledge as you can about the game, the matches being played and the professional teams that you’re betting on. This does for instance mean checking out previous match history that the two teams have had against each other and also the matches they have recently played against other opposition. It also includes only placing Dota 2 bets that are profitable for you in the long run, which is done by making your own predictions, transforming these into odds and then choosing to place your bets on odds that are higher than the ones you have predicted yourself. This probably sounds a lot harder than it actually is. If you navigate yourself to our section of Dota 2 betting tips you will find it explained in detail. Here you will also get a deeper understanding on the research you can do to increase your knowledge and make better predictions. In addition to the above, you should always consider betting with a good bonus if you have the possibility to do so as this can have a great positive effect on your profits. Not all offers are as valuable as they all come with certain terms and conditions that can be more or less advantageous, but as you’re able to receive extra money that can be turned into a withdrawable balance, they can undoubtedly be very useful. If you’re interested in finding out about the best bonuses you can get for Dota 2 betting, head on over to our dedicated Dota 2 bonus section. In this you’ll find some extremely valuable welcome offers that are guaranteed to increase your profits. It’s also recommended checking out our section with temporary campaign offers as these are not only limited to new registering players such as the other bonuses are. If you’re really interested in taking your Dota 2 betting to the next level and making it as profitable as possible, learning about bankroll management is highly recommended. With this you’ll have a dedicated amount of money to use on Dota 2 bets which is separated from all your rest. As the point with a bankroll is to never completely lose the money, you have to handle it with care and set limits so that you don’t spend too much on a single Dota bet, even though it might seem like an easy win. It’s a good thing to have this bankroll stored on an e-Wallet like Neteller or Skrill. 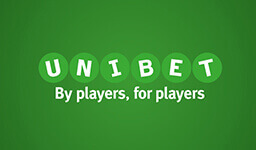 The reason for this is that you would like to bet on many different sites to ensure yourself that you get the best possible odds on your bets every time (these constantly vary from one site to another). As Neteller and Skrill are the fastest ways to deposit and withdraw money, they’re as made for moving your balance between betting sites. As Dota 2 gambling is one of the most popular choices when it comes to eSports betting, it’s to no surprise that there is a very wide selection of different markets to choose from. In the below list we have gathered the vast majority of those that you’re able to come across. Please note that all of these markets won’t always be available with every eSport operator as the amount of entertaining markets offered can vary a lot from one site to another. If you’re interested in knowing where you can find a specific market or what operator has the best coverage of them, we highly recommend checking out our guide about the top bookmakers for entertaining markets on Dota 2. You should also be aware that even if an operator has offered a market before, it won’t always be a available for every match. If it’s a common type it’s quite likely that you’ll find it offered, but there are also special markets that are usually only offered on certain tournaments going down. The future of placing Dota 2 bets is currently looking very bright. Ever since the game was released, betting on Dota 2 has steadily been increasing. This is actually no wonder at all as every year several tournaments are being hosted all around the world and the prize money is huge, to say the least. In 2016, The Shanghai Major, Manilla Major and Boston Major were all hosted with a stunning prize pool of $3,000,000.00. These tournaments are however just pocket money compared to the grandmaster tournament of them all, The International. The International is the tournament that has really opened the eyes of the betting industry and made today’s widespread selection of Dota 2 betting available. Since the tournament was first hosted, the prize pool has skyrocketed. Back in 2011, when the tournament was first introduced, it had a prize pool of $1,600,000.00. This was also the same for 2012. These tournaments were held before Dota 2 was actually released. Once it was in 2013, an immediate effect could be noticed as the prize pool was almost doubled. In 2014, when Valve (the developer of the game) had had some times to really establish the game, we saw the prize pool increase to an amazing $10,923,977.00, which made The International the largest eSports event by prize money. This record was however not held very long as it was beaten the next year with a shocking prize pool of $18,428,613.00. This was then once again topped in 2016 with a prize pool that almost reached $21 million and recently set new records with the 2017 prize pool of almost $24 million. These prize pools are clearly showing how Dota 2 is growing as an eSport. This is however not the only thing growing. The overall interest in eSports betting is rapidly increasing, which of course includes Dota 2 betting. As you may already know, the eSports industry is expected to break new records in revenue this year and a lot of that money is coming from eSports betting. The eSports betting site Pinnacle released numbers in February 2017, showing how the number of eSport bets at their website had increased exponentially every year. While it took them five years to reach their first two million bets, the second two million took less than a year. Even though there already are a lot of sites that are offering Dota 2 bets, we can based on the above information be sure that those that currently don’t soon will follow as well. Amongst the ones that already have their eyes on Dota 2, we can expect to see a wider selection of entertaining markets in the future, as well as promotions that are focused around the game. 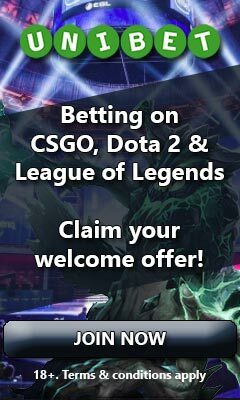 Currently EGB is the only Dota 2 betting site that has a specific Dota 2 promotion, but as the game and the interest in betting on it is growing bigger, we will surely see more in the future. Dota 2 betting is not only something that brings a lot of joy and excitement to us, as well as a bit of extra cash if we’re good at it. It’s much more than that! By placing bets on Dota 2, we’re actually supporting the competitive scene. 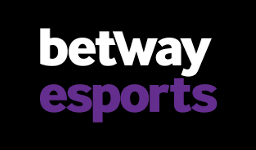 Not necessarily directly, but with Dota 2 betting we’re a part of showing the betting sites that there’s an interest in it and with a growing interest there will eventually be a growing number of sponsorship deals. 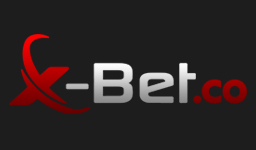 The bigger Dota2betting becomes, the more keen the betting sites will be on getting usDota 2 bettors to their site so that we don’t place our bets at any of their competitors. One of the easiest ways reaching out to us is making sponsorship deals with the teams, which of course is very beneficial for them. The growing eSports industry and the fact that Dota 2 and eSports betting overall is growing, should of course be reason enough for Dota 2 betting sites making such deals. With that being said, the Dota bets we place will still speed up the process. 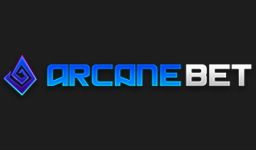 It would be especially noticeable if competitive betting sites that are purely focused on eSports, such as Arcanebet do well, as this would be a clear indication to other betting sites that there’s an interest in Dota2 betting and other eSport games. Sponsorship deals are not only the future, but this is already happening. There are several betting sites that have made deals with professional eSport teams. The eSports betting site ggBET did for instance form a sponsorship deal with Alliance in December 2016. Being one of the most popular eSport games, Dota 2 has plenty of different tournaments hosted every year and for the majority of these you can expect to find betting offered. Below we have listed some of the many events that have occurred and some that will happen again. The yearly world championship known as The International is by far the most anticipated tournament of them all and is also one of the most interesting events to bet on as you’re able to find a huge amount of interesting markets offered. Some sites offering bets on Dota 2 do for instance offer odds on the same categories as you’re able to find in the Dota 2 compendium. If you’d like to learn more about Dota 2, don’t miss out reading about gameplay and all of the different Dota 2 game modes you can take part of, such as the map community driven Arcade.